It’s already the third Monday of June! What is this magic? We hope you’re enjoying summer vacation and, if you aren’t in school (like us), you’re finding some way to at least pretend you’re on a break. We’re here to make that easier for you with the most distracting thing on the internet other than clickbait: MEMES. There’s MORE blood, guys. More. More boys too. Umaru truly loves her cola. Just gonna roll away now. Toodles. If you haven’t seen this guy in action, you have to check out My Teen Romantic Comedy SNAFU Too. Memetastic! 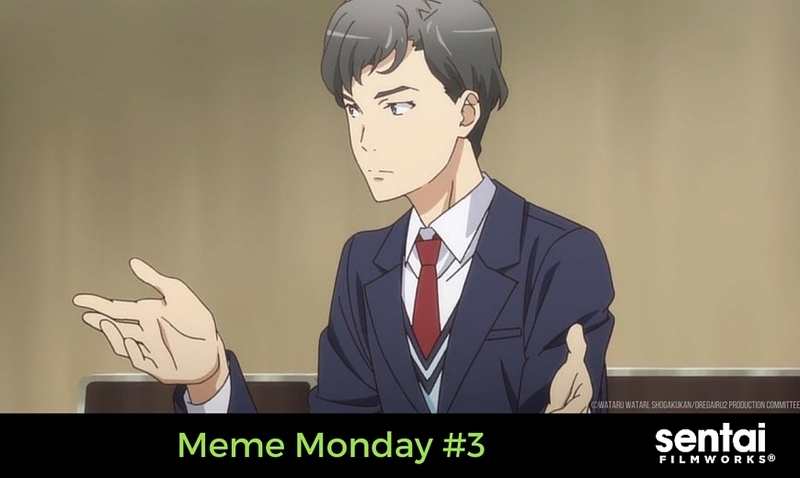 We’re bringing you guys a new Meme Monday every third week of the month so you can get top marks in memeology when you get back to school (or for everyday use). What anime memes are your favorites? Let us know on Facebook, Twitter, Tumblr, Instagram and Google+.